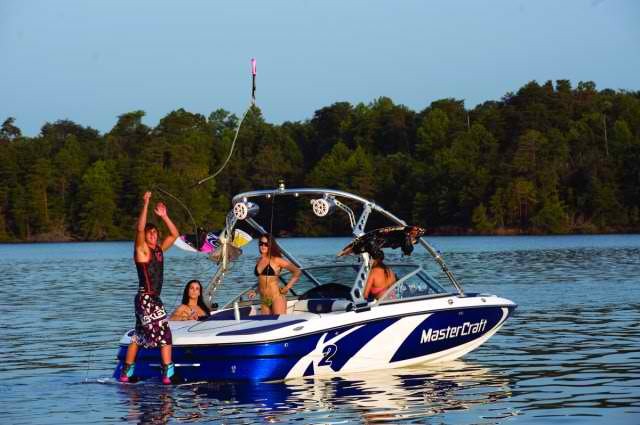 Information on the best Frenchman Lake boat rentals, jet ski, water sports, and tour service at this Southeastern Plumas County, California Reservoir. This lake was created by the damming of Little Last Chance Creek. The surface area of Frenchman Lake is 1,580 acres and the shoreline length is 21 miles with a maximum depth reaches 101 feet. The nearest community is Chilcoot-Vinton, California which is approximately 8 miles south if you need to get amenities for your lake vacation. The Frenchman Lake Recreation Area offers a wide variety of summer outdoor activities for all ages including: camping, wakeboarding, wakesurfing, tubing, picnicking, fishing, hunting, boating, jet skiing, mountain biking, swimming and water-skiing. In the winter, ice fishing, snowmobiling and cross-country skiing are highly used. Public campgrounds are located on the south shore at Cottonwood Springs, Frenchman, Spring Creek and Big Cove.